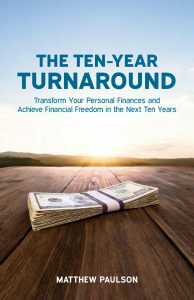 My newest book, The Ten-Year Turnaround, is now available on Amazon. In 2004, I was flat broke. My bank account balance never had more than three digits and I had to sell my DVD and video game collection on eBay and Half.com in order to pay off my credit card bill. I could barely make tuition and was literally flipping burgers at McDonalds to pay the bills each month. Less than 10 years later, my personal net worth grew from zero to more than $10 million. No, I didn’t win the lottery or discover some unknown “secrets of the rich.” The truth is a lot more boring than that. I worked hard, built a personal network, practiced focused learning and invested my money wisely. Now, I’ve achieved complete and total financial freedom. As you might expect, a lot of people have asked me how I’ve achieved financial freedom at a relatively young age (I’m 30 years old). 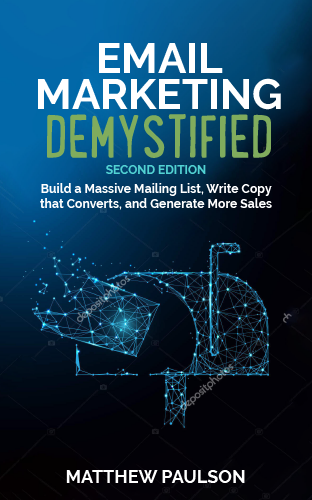 Instead of answering the same question over and over and over again, I decided to publish a book how I’ve become a deca-millionaire in less than ten years. That book is The Ten-Year Turnaround and it is now available for the first time as an e-book, paperback and audiobook through Amazon. – Grow your income by becoming an expert salary negotiator, starting your own business or doing a side-hustle on nights and weekends. – Unlock the power of life-long learning and personal networking in your life so that career and business opportunities show-up at your door. – Become an expert money manager and avoid the most common mistakes that prevent people from building wealth. – Learn proven wealth building techniques that allow anyone to grow their net worth, each and every month. – Build a dead-simple investment portfolio that will provide a life-time stream of income. – Reduce your taxes, prevent lawsuits and eliminate financial risk from your life. – Become a world-class philanthropist and learn how to effectively give money to charity.